‘’Last spring I entered to the unknown. Coming from the educational sector, the startup world and community development were completely new to me. What astonished me the most, was how supportive you can be in the entrepreneurial environment. 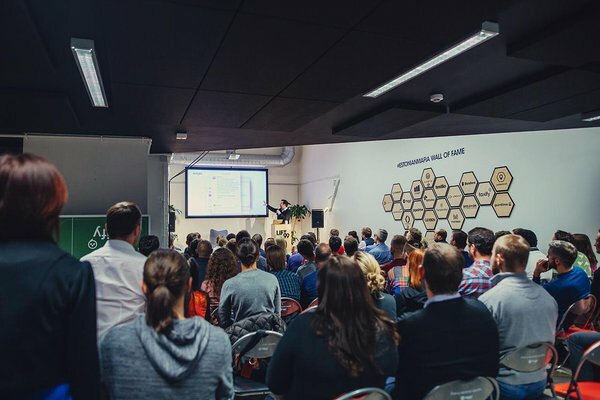 While getting familiar with the the globally renowned startup ecosystem of Estonia with all of the support mechanisms around it, everything I thought about entrepreneurship got disproved,’’ says Inga Kõue, Startup Community Development Lead in 2018 and EdTech Sector Project Lead from 2019. Last year has shown, that Estonian startup ecosystem is quite attractive. Estonian startups raised a whopping 327M EUR in investments and our Startup Visa scheme attracted 483 employees and 174 founders to Estonia, making it one of the most attractive Startup Visa programmes in the world. Yes, we are being noticed. But why is that so? Well, a lot has to do with the ease of doing business, e-services provided by the government and a general good reputation of Estonia as a digital country. But the backbone of our startup ecosystem are the organisations and service providers who support the growth of our startups. In the end of 2018 we counted 103 such organisations. 65 out of these are only focused on offering their services to startups, such as co-working centres, accelerators, incubators, conferences and investment providers. 38 organisations are providing services which support entrepreneurship more widely, such as research and development, business consultation and startup-specific accounting and legal services. More active support network for startups started to evolve in 2010 (with Ajujaht being the exception from 2007), with one of the first initiatives being Garage48 hackathons, the 48 hour startup hackathon series. Up to date, they have hosted hackathons in more than 25 countries. The success of Garage48 led us to the necessity of more follow-up services, which would accelerate and fund those ideas. Year over year, more support organisations have been created as we see from the chart below. We see a peak in 2016, when quite a few organisations were launched. It might be drawn to the fact that many of those organisations get support from the European Regional Development Fund. The ‘’by-product’’ of support organisations is a strong giving-back mentality within its network of mentors, with entrepreneurs who have been active for more than 10 years in Estonian startups like Fortumo, Transferwise, Taxify, Starship Technologies and Pipedrive. So the strength of our ecosystem is definitely its people - thought leaders who help to shape the ecosystem with new endeavours. On top of that, the role of Startup Estonia is to bring all the community members together, creating a supportive environment in which to share common values and goals. To create a common vision for the whole startup ecosystem, we’ve started more actively with community development activities with first of the goals being to map out all of the organisations that offer support services for startups in different stages of their growth. To go even deeper into the statistics of our startup support organisations, we also divided the organisations by main focus areas. With most of the organisations offering services regardless of the vertical, it is good to see some more specific services. Within the last few years we’ve seen the sustainable growth in supporting GreenTech, Creative and MediaTech startups. IoT, AI, Robotics, Electronics and STEM/STEAM support activities, however, are also catching up. Mapping also showed that Estonian startup ecosystem is still gaining maturity, with majority of the services provided in the idea and pre-startup phase with 47% of the services provided for early-stage startups. Growth-phase startups are being supported by 19% of the organisations, mostly combining events and investments. In 2018, we also added a new target group into ‘’the portfolio’’, with focusing on young people interested in startups and involving organisations who provide the startup-specific knowledge for the youth. Newcomers include Vivistop Telliskivi, a Japanese started kids makerlab to fuel kids curiosity and Startup Alfa, which is providing a platform to bring together after school teachers, parents and schools to raise the knowledge about startup mindset. Startup Alfa is also organising trainings for teachers and school pupils in theme of the startup mindset. 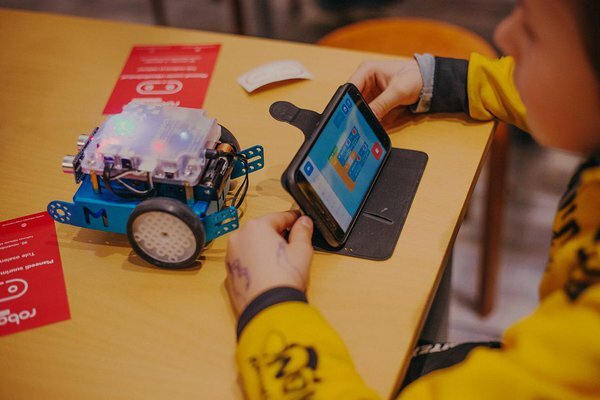 Together with Robotex they organized a startup competition called “Our first startup” for primary school kids, where 1100 children took part. 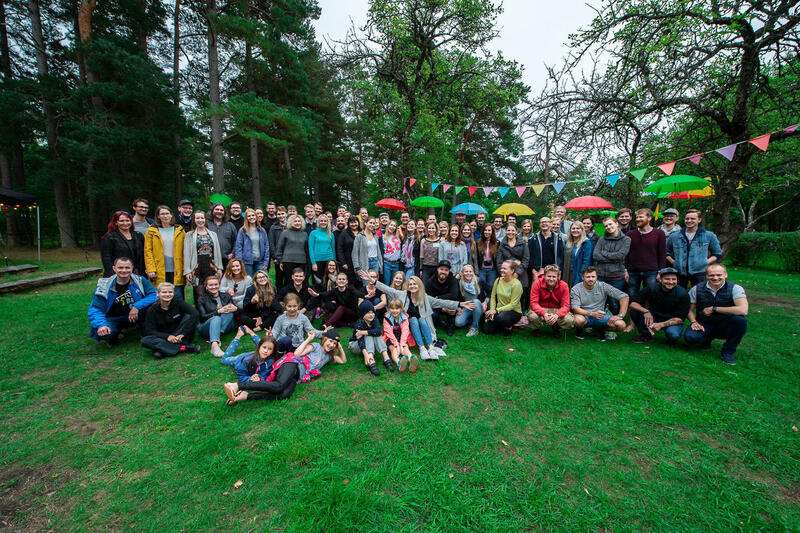 Hüppelaud, a summer camp started by Eesti 2.0, also has a significant role in making young people more interested in the startup world. The Week-long summer camp for Estonian school students of ages 14-19, empowers them to create prototypes from their ideas. „Anything is possible if you really want it and are willing to work for it - this is the message of our summer program "Hüppelaud", to nurture the Future Founders of Estonia,“ says Ede Schank Tamkivi, the founder of Eesti 2.0. The need for encouraging entrepreneurship among the youth was also confirmed by the anthropological research aimed at investigating the "Future Founder" journey. The wider approach of the study dealt with the questions of how to develop the interest in entrepreneurship and digital competencies among children and adolescents. More specifically, researchers focus was on the field of cyber security and knowledge, skills, and attitudes that potentially encourage young people to become founders of startups. The fast-growing community, adding Startup Mindset as the new phase of a startup lifecycle and the wide range of services led us to update our startup ecosystem subpage. The updated page includes a new startup lifecycle blueprint with the information of all the support organisations and service providers. We also added information for organisations and startups, with the idea of making clear of which services we provide and statistics and surveys we conduct. Startup Estonia is eager to pass on relevant information to all interested parties, who are either interested in participating in the community as a support organisation or have a business idea. 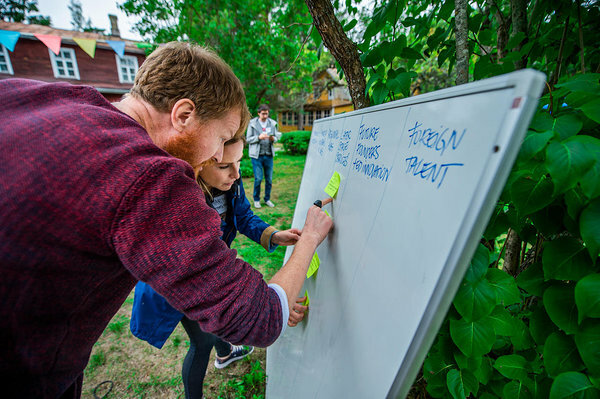 While Startup Estonia is coordinating the startup ecosystem development in Estonia, the real thrive comes from the grassroots level. Looking back at 2018, we can proudly say that the support organisations are really active. To prove that, we counted 501 events aimed for startups throughout the year, from major conferences to small meetups. Most events were hosted by our biggest coworking spaces and incubators, such as LIFT99, Tehnopol Startup Incubator, Spring HUB, Workland, sTARTUp HUB and Spark HUB. Additionally to smaller events, we had 4 bigger conferences in 2018: North Star AI, Latitude59, Refresh and Robotex Conference, hosting around 5000 people in total. Quite a big effort by community members and startups was made to succeed with Techstars Startup Week Tallinn 2018, a five-day celebration of the entrepreneurial mindset and startup community with some of the most successful startups and startup community organisations in Estonia opening their doors to share their best practices with the whole community, bringing together 62 events and around 3000 participants. To make the startup ecosystem even more tight-knit, it is necessary to include and to have events for support organisations, as well. For that, we have bimonthly meetups to discuss common subjects, share information and create collaboration projects. 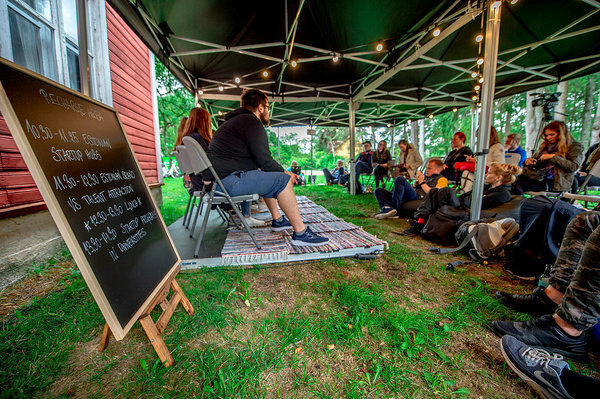 To create a longer-term vision and narrative, last August we hosted a 3-days community festival ‘’Vormsi Reload’’ in the island of Vormsi. From the feedback we saw, that the more casual format of hacking the ecosystem is highly welcomed. Bringing people together and sharing best practices is also important to develop new services. For that, we have organised study trips to discover other startup ecosystems. In 2017 we visited Amsterdam and in 2018 we hosted a study trip to discover the startup ecosystem in Paris. The idea for the study trip was to get more familiar with one of the biggest startup ecosystems in Europe and to create contacts both for the support organisations and startups. In the end of the year we gave recognition to the new members in the community and gave credit to the most active members in the community who have developed the ecosystem and made it stronger. In 2019, one of Startup Estonia’s biggest focuses is to help develop the services and community for startups, but also help in finding strategic partnerships globally. And mostly we are doing it through three focus areas - Cyber Security, EdTech and East Estonia as a region. The choice of focus areas is based on national goals to develop the cyber security strength and community also among the startups, to accelerate educational innovation with the help of EdTech startups and to involve the startup community and grow the startup mindset more in Ida-Viru county. The possibilities in Ida-Viru county are mainly connected with involving youth and fostering startup mindset and skills in the region. To conclude, 2019 is ought to be a vision creating year for the startup community. The overall fast growth of the whole sector needs new support services, so we are eager to welcome new support organisations and hope to see a lot of startups participating in all of the programmes and events created by our united and strong community.